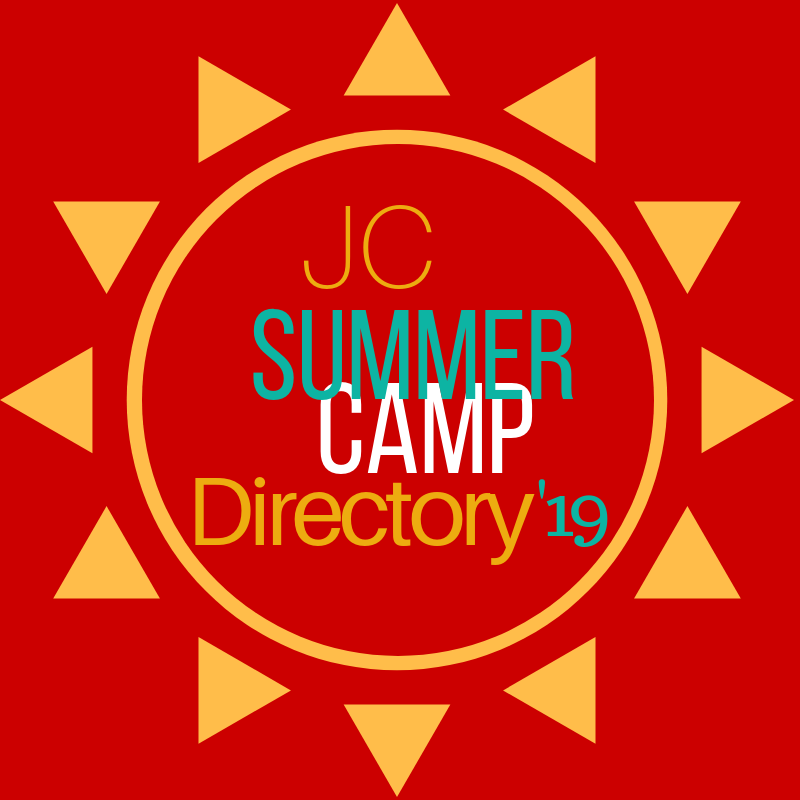 JCFamilies has the most trusted directory of summers camps serving Jersey City, Hoboken and the surrounding areas. We have assembled a list of the best options for children of all ages, abilities and interests. The camps in our directory range from local schools and activity centers with diverse activities for campers, to more singular-focused camps (dance, STEM, robotics, soccer, tennis, swimming), to the more classic summer camps which are located out in the county. All camps outside of the metro area provide transportation from/to JC/Hoboken. Use this directory to find full day and 1/2 day options for your little campers. Whether you’re looking for a few days a week, a few weeks of the summer, or the whole summer, you can find what you’re looking for here. 189 Brunswick Street, Jersey City, NJ, 07302 – Phone:(201) 420-1550. Summer Camp Dates: June 24th-August 16th (4 week minimum). Half day and full day options. 5 days/week. 3-8 year olds welcome (3 year olds must be fully potty trained). Thursday, June 27 through Friday, August 9. Register through their website. Camp Riverbend—where Tradition meets Tomorrow! Fun, camp spirit and achievement through swimming, sports, crafts, cooking, canoeing, adventure course and much more! All the fun is led by an amazing staff of teachers and college students. Join the Breene family for a summer of confidence and friendship. Lunch included. For boys and girls, ages 3-14. Bus service included from downtown Jersey City and Hoboken. 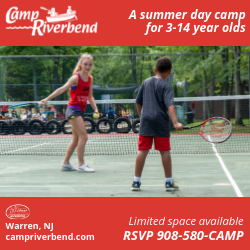 Camp Riverbend has been in our list of Summer Camps in Jersey City for the last 5 years. Both indoors and out, children will make friends, develop their confidence and most importantly, have fun learning. This year’s Summer Camp will run from July 1st until August 16th, 2019. Register through their website. Summer camp is running from June 24th until August 30th. Children participate in energizing fitness games, noncompetitive gymnastics, arts and crafts, music and so much more. Each camp program is uniquely designed to keep your children moving and active, as we emphasize physical development and personal success. Our themes and programs change daily, so no two camp days at My Gym are ever the same. Whether you are looking for the best place to send your children on cold and rainy days or trying to keep them active and cool during the hot summer months, My Gym camp is the place to be. We make it easy for parents with our drop-off program, pay-by-the day options, and multi-day discounts. Ideal for potty trained children 2.5 yr to 13 yr olds. Morning Session is from 9am to 12pm. It will provide a dance class, a Martial Arts class and a craft. Zaniac Summer Camps are running from June 17th until August 30th 2019. They are ideal for your curious child. Go on a Science, Technology, Engineering, Art & Math Adventure with us! Each camp is tailored to your child’s needs. Small camp sizes ensure an exceptional experience. Our instructors are fully-trained and vetted role models who love working with kids and technology. Camps are grouped and focused for your child’s age and grade. It’s Summer Adventure for your child’s mind at Zaniac! Go from true beginner coder with Scratch or Blockly to writing custom code in Pythonor Java. Discover and investigate with a themed STEAM Quest Camp where your child can be an astronaut or a superhero! Explore mechanical and electrical engineering through hands-on innovation to build robots and fly drones! Create your own projects with our design camps–from musical compositions to 3D prints! 8:30 a.m. – 12 p.m. or 1 p.m. – 4:30 p.m.
*Aftercare from 4:30-5:30 is $50 and until 6 is $60. 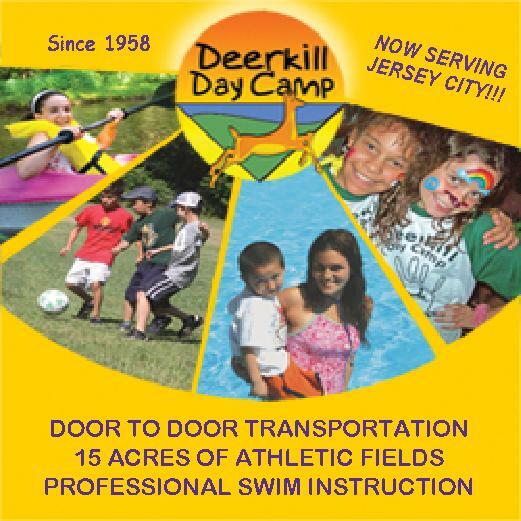 Deerkill Day Camp is a very popular camp option among Hoboken-area and Jersey City families. This third-generation family business, celebrating its 62ndseason, is located on a wooded 15-acre site and brings a community feel to the summer camp experience for campers age 3 through 15. Tuition varies by camper age and pick-up and session length. 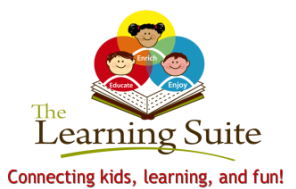 You may go to their website and enter your child’s information to see rates for the 2019 summer and request a brochure. For more information call 845-354-1466, [email protected] log onto www.deerkilldaycamp.com. 380 Newark Avenue, Jersey City, NJ, 07302, Phone: 201-222-6209. Are you ready to put some adventure in your summer? 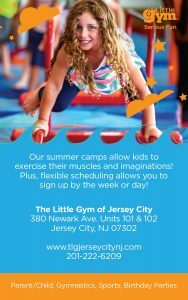 Then it’s time to head over to The Little Gym of Jersey City for some awesome Summer Camps! This year some of the themes are: Dance Around the World, Yoga Kids & Mindful Friends, Sports of All Sorts!, A Royal Renaissance, Crazy Carnival, and Super heroes Unite! Don’t these themes sound like a whole lot of fun? They run all summer long starting on June 24th through August 30th. Schedule a day, a few days, or several full week sessions. You can customize your child’s camp days to fit your schedule. Camps are offered Monday, Wednesday and Friday from 9AM to 12PM | Tuesdays and Thursdays from 1PM to 4PM. Any questions? Check out their website www.tlgjerseycitynj.comor call them at 201-222-6209. Two Hoboken Locations: 1055 Maxwell Lane (201) 963-4949 & 220 Sinatra Drive (201) 222-1464. Apple Montessori Camp has been loved by campers for over 45 years! 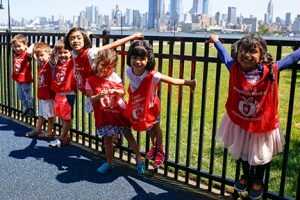 With two locations in Hoboken for children ages 2-9, we’ve got a summer of jam-packed fun and a bounty of learning opportunities ahead. Every day is a new adventure with field trips, in-house events like the Reptile Man, and child-inspired programs like Creative Kids, Junior Scientists, Tech Time, Young Chefs, Shining Stars and much more. We offer indoor and outdoor activities, theme weeks, ice cream truck visits and extras like crazy hat day. We even help children beat the summer learning slump. Apple Summer STEAM exposes campers to a broad spectrum of scientific concepts and mathematics using technology, engineering, and the arts. 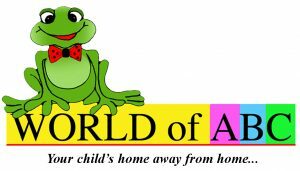 Plus we offer proven Montessori curriculum and FasTracKids e-learning. 4 locations, check their website for their addresses. At Smart Start Academy we bring our children’s imagination and dreams come to life. Our summers are filled with daily outdoor play, cooking classes, awesome projects and activities, sprinkler day and so much more! Through new found friendships, exciting bus/walking field trips around New Jersey, several special guests and partnership with our children friendly community vendors. S.S.A is the summer camp that your child will talk about for years to come. Guaranteed! Full Time and Part Time Programs available – Come check us out & Book your tour today! 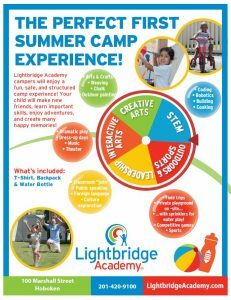 June 24th, 2019-August 28th, 2019; 7 AM-6:30 PM M-F, Lightbridge Academy of Hoboken-Marshall @ 100 Marshall Street, Hoboken, NJ; weekly themed camp including field trips, walking trips, in-house special guests and demonstrations, cooking, dress-up days, daily outdoor play and water play on our own private playground and sprinkler pad! 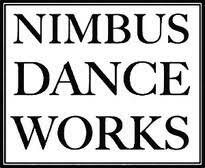 Nimbus Dance Works will be doing their Summer Camp JCSummerArts, for six weeks starting Monday-Friday from July 22nd-August 31st. Contact them directly for more details and registration. Join us for a performing arts summer camp at Next Step Broadway. Children will be dancing, singing, and acting their way to a Musical Theatre performance. This performance will be presented on the last day of each session promptly at 4:00pm. They will be involved in every aspect of the production including, creating costumes and scenery. Some of the musical selections from past years included pieces from Aladdin, The Sound of Music, Cats, Mary Poppins and Matilda. There will be plenty of time to enjoy the sun and the water park at Hamilton Park across the street as well as downtime to nap, relax, or view and discuss different aspects of musicals. Campers meet Monday-Friday from 9:00am to 4pm. Early Drop-off at 8:00am and/or Extended Day option(s) until 5:30pm are also available. The first two sessions are 1 week, while the others are two weeks. We welcome ages 3 thru 12 years (must be 3 by June 1st cut off date and MUST BE POTTY TRAINED). Campers will be split into three different groups and receive instruction appropriate to their age level. To maintain the highest standards of teacher to student ratios, limited spots are available for each session. Campers will receive a NSB hat, which is theirs to keep and to wear outside in the sun! See you at NSB Summer camp! The NJCU Summer Camps are geared towards offering a rewarding experience for your child. The camp features facilities both indoor and outdoor, including an indoor pool, 3 hardwood courts, an outdoor athletic complex with collegiate regulation size soccer, softball, and baseball fields and private locker rooms. Our goal is to create a safe and fun atmosphere for our neighborhood children where they can play, learn, and grow. We offer exciting activities such as swimming, team sports, arts and crafts, and relay/obstacle courses. Our staff is highly experienced, enthusiastic, and excited to educate your child on the importance of staying active! – Hours: 9-4 (8-5:30pm) Extended Care – July 1- August 9 ( 2 Week Sessions) 3 Sessions Total (July 4th Off) – Swim Lessons incorporated through Camp. The Scandinavian School of Jersey City offers a 4 week Forest Camp for children ages 4-7, as well as a 10 week on campus Summer Camp- you can register for one week or come for all 10! Camp weeks are theme based, such as “From Garden to Table”, “Magic of Textiles”, Stamp & Print Lab”, “The 100 Languages of Art: Clay, Painting & Sculpture” as well as “Building, Potions and Motion: STEAM Discoveries” to make a few. We offer a half day schedule or extended day. We will utilize both of our buildings located at 210 9th Street and 513 Manila Ave, as well as our magical backyard and garden, in addition to neighborhood parks, JC waterfront and a variety of field trips to places near and far. Our Summer Enrichment Program provides students fun and exciting themes while our HPMS teachers support students in their math, reading and writing skills. We offer two sessions from 6/24-8/16. Register HERE. Summer Camp offered from June 17 through August 9, Toddler/Bridge Summer Camp, Primary Maker Summer Camp & Elementary STEAM Maker Summer Camp. (Explore Visual & Performing Arts Through Stories) summer camp is a 6-week experiential, theme-based program designed to combat summer learning loss in a fun and stimulating environment! Reading, Writing, Math, and Science are all incorporated through the arts! Each week there is a different theme for camp, based on a popular children’s book. Children ages 2.5 – 6 years old will explore a variety of topics, through hands-on discovery and active play. Full and part-time enrollment options are available. 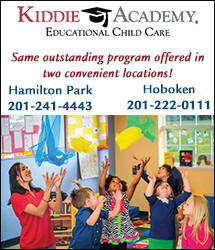 Summer Camp: 8:30am -5 pm with available extended hours at our center at 769 Montgomery St. Jersey City. Weekly themes. Music, STEM, Art and Movement classes. Special events and field trips. Summer Camp offered from June 1st to August 31st. Register at their website or call 201-200-1160 for details. Lakeview Day Camp is a Traditional Day Camp that has been serving children ages 3-15 years old for 80+ years. Campers enjoy beautiful facilities, including a 5 mile long lake, four new heated swimming pools, three zip lines and full adventure aerial park, a 360 hydraulic rock wall, magnificent sports complex and a indoor/outdoor Creative Arts Center just to name a few! 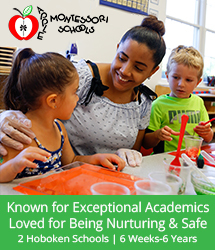 Our lead staff are professionals in teaching, child development, social skill counseling. At Lakeview, we know each child is an individual and provide personal and exceptional care to help them achieve goals, make friends and Have Fun! 2019 Camp Season begins June 24th and ends August 16. The camp is full day, Monday through Friday for children ages 3-15. Our activities include a wide variety of Arts, Sports, Swim, Adventure and Play. We offer two summer camp programs for children in preschool through 6th grade. Our Preschool camp is for children in Toddlers through PreK 4, and our STEM camp is for children in Kindergarten through 6th Grade. Both camps offer three program timings: 830 – 130, 830 – 400, and 730 – 600. Summer Camp Dates: June 24th to August 16th, 9-4, Morris County, NJ. SDA Rising Leaders program is for girls entering 4th – 8th Grade in September 2019. for girls entering grades 4-8.
develop leadership skills and create new friendships. Early Registration for Global Soccer Academy is now Open! 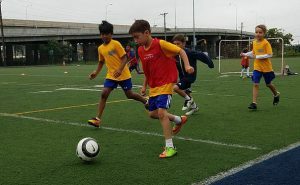 Global Soccer Academy is a local soccer academy located in Jersey City where professional coaches teach multiple aspects of the game. BEST OF THE 90’S CAMP: 6/24 – 6/28 from 9am – 3pm. Come celebrate bands like Nirvana, Pearl Jam, Green Day, Weezer and many more in our Best of The 90’s Summer Camp, perfect for 7-18 year olds with some experience. QUEEN PERFORMANCE CAMP: 7/8 – 7/12 from 9am – 3pm. Come learn the music of the iconic band Queen in our Queen Performance Summer Camp. Best for ages 7-18 year olds with some experience. LITTLE WING BEATLES CAMP: 7/22 – 7/26 from 10am – 12pm. In this camp, 4-5 year olds will discover the music of the iconic band, The Beatles while learning about rhythm, song structure, melody and dynamics through play. ROCK 1O1 CAMP: 8/5 – 8/9 from 9am – 3pm. Rock 101 is for beginners 7-12 years of age. No experience needed. Students will explore their instruments through musical games and activities, and will end the camp with a performance at the end of the week! ROOKIES CAMP: 8/19 – 8/23 from 10am – 2pm. In this camp, 5-7 year old beginners will learn about different rock instruments and begin their introduction to music theory, appreciation, and what it’s like to be in a rock band! Our Summer Camps are performance-based, meaning students learn to play by rehearsing and performing together in a fun environment. From beginner camps to themed camps, we offer a wide variety of options to ensure your child has an amazing, immersive musical experience. An unforgettable summer awaits you at New Jersey Performing Art Center! Develop your inner artist by taking classes in dance, acting, musical theater, jazz and hip hop. Classes are taught by professional artists and provide students the opportunity to immerse themselves in a supportive and engaging learning environment at NJPAC’s Center for Arts Education or in residence at Rutgers University’s Newark campus. Our goal at Swim Stars Summer Camp is to provide a safe, fun, and educational environment for your child. Through our daily swim lessons, your child will learn and perfect their swimming skills while understanding the importance of water safety. Our 4:1 teacher to student in-pool ratio allows for quick and focused learning of motor skills in the water. Non-swimmers will be turned into independent and safe floaters, while intermediate and advance swimmers will improve their four strokes. Our 8:1 counselor to camper ratio outside the pool allows children to develop essential character skills such as confidence, determination and self reliance – all while developing motor skills. Our summer camp strives to encourage personal growth in each and every child by providing them with an excellent program facilitated by nurturing and highly experienced staff. We strive to instill values that foster key civic values, such as respect for others, integrity, responsibility, sustainability, and generosity of spirit. Every day will be a new adventure filled with crafts, dancing, outdoor and indoor sports – all curated to match our weekly themes. Science Camp at LSC is a full-day summer program for children entering grades 1 through 8 excited about exploring the world of STEM (Science, Technology, Engineering, and Mathematics). How is Science Camp at LSC different from other camps? We offer fun hands-on, inquiry-based courses in various disciplines of STEM. Children are encouraged to investigate, ask questions, collaborate, design and test different ideas and concepts. Our knowledgeable and supportive STEM educators lead campers through week-long explorations using real-world science and technology skills and tools. Each session concludes with a Friday afternoon showcase for family and friends. Campers will also have access to all of the exciting, hands-on exhibits at Liberty Science Center including Dino Dig, Infinity Climber, the Jennifer Chalsty Planetarium—the biggest planetarium in the Western Hemisphere—and more. Join us for a 10 week indoor & outdoor program from June 24th through August 30th. There will be so much for your children to explore with different themes each week such as Bringing the Outdoors In, Mindfulness & Meditation and Hugs & Bugs Club Marketplace, field trips around Hoboken, and much more! 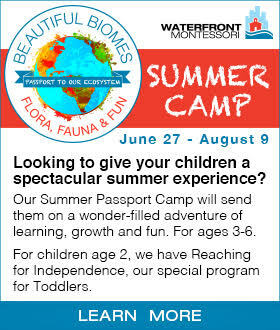 Summer camp is available for children 3 1/2 -7 years old. Sessions will be held Monday-Friday from 9:30am-2pm with a 2 week minimum enrollment. Starts 6/17/2019 Ends 9/6/2019 from 9am – 4pm plus extended hours. Practical life skills focus: Weaving, Sewing & Embroidery, crochet; Earth & Water – working with clay, plaster, cement; Each day we will also schedule games, and activities including movement and dance. Our Summer Camp returns for 2019 with a wide variety of art, craft and outdoor activities based on a unique theme each week. Each day we will create, build, experiment, and have fun with art. Our experienced teachers assure an environment where every child feels confident to explore, create and connect with other campers. French Immersion Summer Camp for children from 3 to 11 years old. Camp runs from 8:30am to 3pm with After Care from 3pm to 6pm and is located at 209 Third Street Jersey City New Jersey 07302. Visual Arts, Sports, Songs, Story-Telling in French for Pre-Schoolers and Elementary students. Beginners in French are welcome. Music and Arts Academy at The Embankment School. Learn about the fundamentals of music and art in these engaging and immersive programs led by two experienced professional educators. Camp hours are 8:30-3:30 with after care to 5:30 Weekly Themes: Be your own DJ June 24th- 28th $485 Clay Creations July 1st-5th *no camp on 7/4 $385 Music Academy July 8-19th $500/ week – commit to 2 weeks Students at the Music Academy will perform a concert on the 19th of July! Theater Camp July 22nd-July 26th $485 Ice Cream Chemistry July 29th -August 2nd $485. June 24th through August 23rd, Monday through Friday, early drop off at 7:30 am, late pickup at 6 pm. Includes transportation to and from (to some areas in Jersey City and Hoboken), Includes breakfast, lunch, and snack. Includes trips and swimming. Activities include STEM, fitness, sports, art, dance, martial arts, cooking, etc. June 24 to August 29 From 8am to 6:30pm Field Trips, Swimming classes, Stem Program, Yoga class, music class, and more. Jumpstart your children’s future and choose from Spanish, French, or Mandarin at Tessa International School’s Fun, Friends & Discoveries Summer Camp. Tessa Summer Camps are thoroughly enjoyable immersion programs in the language of your choice. With a new theme and adventure every week, learning a language has never been so fun. Children explore a range of fun multi-sensory, highly interactive activities with their teacher in the target language, from outdoor fun to indoor creative play, singing, games, music, and movement. Your child has fun while learning a language and being exposed to a different culture. 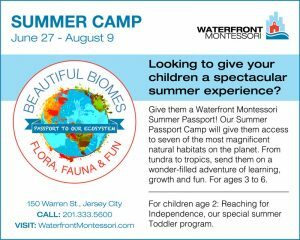 Camp is for children ages 2.5 to 6 and takes place at Tessa International School in Hoboken. Weekly registration is available for full or half days. Early language education is a gift that lasts a lifetime. Take advantage of this perfect mix of fun academics and outdoors activities! PicoTech Institute is the educational division of PicoTurbine International who has been servicing for over a decade K-12 schools in the area of STEM! Their Project RED Pedagogy was created not only by experienced educators but also their highly skilled engineers from their parent company PicoTurbine. With 10+ years of real-world application and extensive piloting with hundreds of schools throughout the world, we develop leadership, problem-solving, and social skills for them to be irreplaceable in the changing world. Their Summer Camp this year is from July 15th-August 23rd. They have two-week sessions with class trips every Friday morning and student presentations on the 2nd Friday of each session. Camp Kadimah, celebrating its 68th season, provides a summer camp experience for 2 1/2 -5 yr at Kiddie Kadimah, Kind-4th graders at Camp Kadimah and 5th-9th graders at J-Trippers, a travel camp. Campers get the chance to create their own summer adventure while combining the best of a traditional camp with the choice of NEW ELECTIVES! 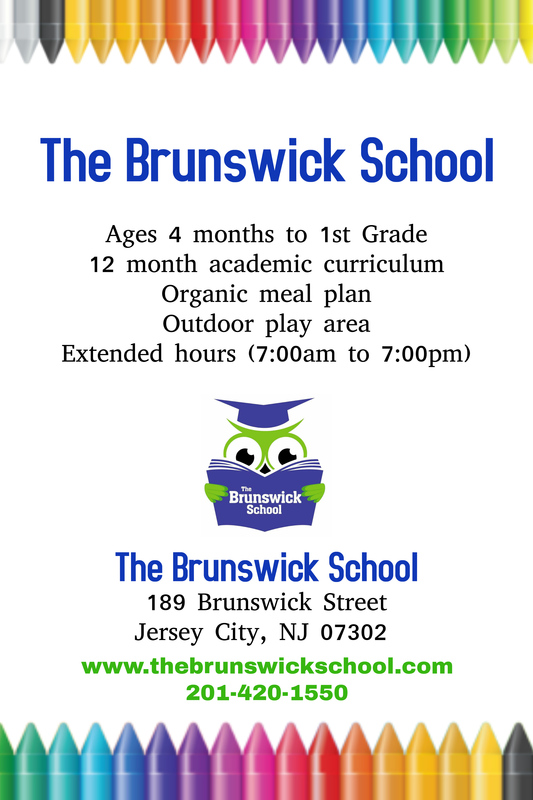 2019 session (July 1 to August 23) M-F 9:00am-4:30pm with early drop off (7:00am) and late pick up (6:30pm) available. If you have any questions, concerns or suggestions, please send us an email to [email protected]!